The Last Guardian: "We have to deliver, we have extra pressure"
When GamesIndustry.biz sat down with Shuhei Yoshida, the president of Sony's Worldwide Studios for Sony Computer Entertainment, it was the day after he'd delivered to fans the one thing they'd been asking for since 2009, a promise that The Last Guardian was finally going to be released. It turned out that rumours of the project's death had been greatly exaggerated, even as the games media obsessed over expired patents and the employment status of the game's designer Fumito Ueda Sony was quietly working away on the adventure title. We asked Yoshida to go into a little more detail about the delays to the project, and how he felt now he'd set the release for 2016. 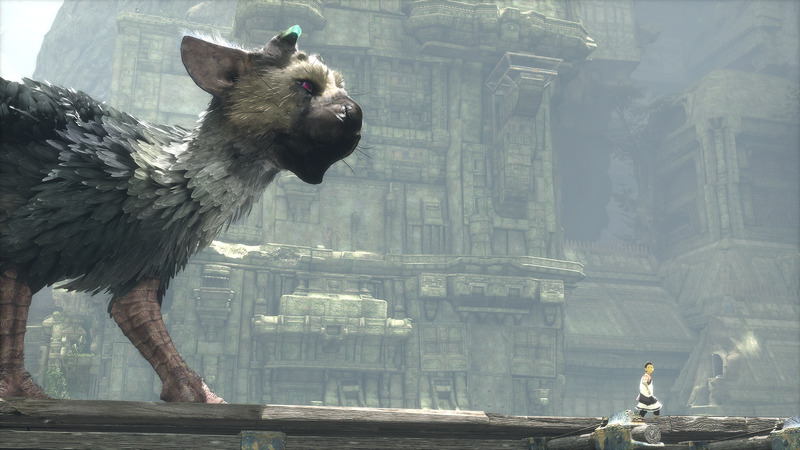 Q: Was it a relief to finally be able to announce The Last Guardian? Shuhei Yoshida:Last night was, but now the reality settles in. We have to deliver, we have extra pressure, and the team has too, but it's a good pressure. The team is super happy. Q: What are some of the challenges that delayed development? Was there ever a point where you were close to cancelling it? Shuhei Yoshida:The game was originally made for PS3 and we announced it in 2009 at E3. The trailer we showed was running on the engine but not at the performance, the game had a much lower framerate so we sped it up to look like it was running at 30 frames per second for the video. But the team has really really struggled to get the game running at the performance it needed and some features went missing so there are lots of technical challenges that they were going through. They spent lots of time porting the code to SPUs to make it faster but not quite at the pace that was required. That was 2011, that was all about PS3 development going very, very slow. Come 2012 and we know the PS4 is coming. With the dev system available it became apparent for us that we just cannot continue like this in terms of the pace of development - we knew that we had to compromise on the design or the scope or the number of characters if we stayed on PS3. So in order to realise the vision we said let's do PS4. But after that it took a long time for the engineering team to finish. They spent a lot of time optimising to PS3 but that's a really unique architecture, so everything had to be kind of redone for PS4. So that took until last year, when there was huge progress. The fundamentals of the game architecture were done so the actual game was playable and being implemented on PS4. That's how we felt confident enough to show it and say next year. 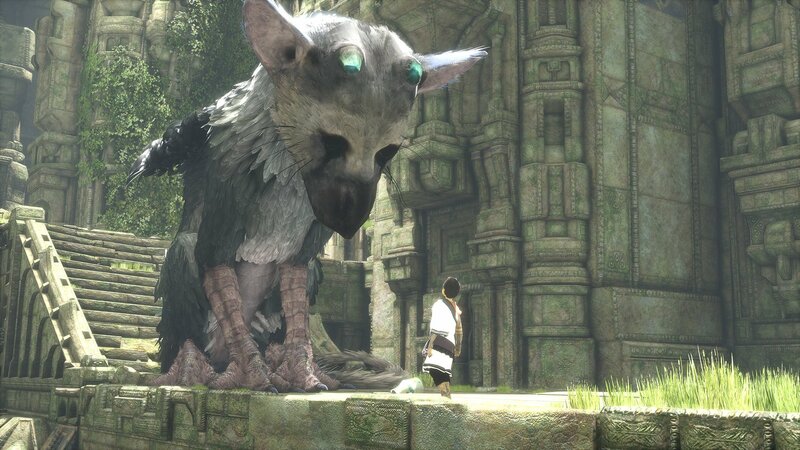 "The rumours had it that Mark Cerny and the Knack team were finishing the game, that's totally wrong"
So the game is running and playable at the same speed as the video we showed but we decided to show it in video format because it's an adventure game and the bird Trico moves as AI, so she may not do what you want to do [laughs]. We didn't want to risk making the conference presentation longer so we just made it a video. Q: It was reported Mark Cerny was working on it, was that true? Shuhei Yoshida:The way the rumour was written is not true. Mark has been helping many of our teams, the same way he's giving advice to The Last Guardian team, especially on the technical side - he has deep, deep knowledge of the PlayStation 4. Different teams need different types of help and we have the central tech group as well, these teams have also been helping too. So the rumours had it that Mark Cerny and the Knack team were finishing the game, that's totally wrong. It's an internal Japan Studios development so when one project finishes like Knack or The Puppeteer, these are done internally, the members move to other projects. In that way they share the resources. Q: Did interest, some might say nagging, from the press and fans help keep the project alive? Shuhei Yoshida:That was a huge reason we continued. I strongly felt that this game has to be made and we felt we came so close, so we knew the game that Ueda-San had imagined and we really wanted to finish it. We'll have more from our interview with Shuhei Yoshida later this week, where he'll talk about the business of AAA in 2015 and the continuing evolution of the Morpheus virtual reality headset. good things come to those who wait. Now its just about managing expectations. @Aleksi - absolutely spot-on. I believe that patience has its own rewards and hopefully this translates into something great for the development team that surely endured many agonising moments throughout The Last Guardian's protracted development cycle. Definitely my most wanted game for 2016. I'd say that they kinda dropped the ball on "managing expectations" years ago. We get a killer trailer (which now stands as doctored; not a surprise necessarily, just disappointing), and then nothing but bad news and uncertainty for years. Arguably, they didn't go the route of 3DRealms and Gearbox with Duke Nuke'em Forever, but the effective radio silence the fans and the press have been getting up to this point has not been helpful. The news we did receive, such as Ueda-san's departure to form his own studio, gave an impression of "we're hoping everyone starts thinking this game is dead, so we can officially kill it." The E3 trailer this year, showing off actual gameplay, has undone some of that damage, but Sony and Yoshida-san are going to have to do more to restore confidence. The initial rush of "OMG! The Last Guardian! Squeeeee!" will wear off quickly, and any future delays between now and next year are going to have be handed very carefully. Super artsy game that is also a puzzle platformer unveiled at E3? Consider my expectations managed. You can join me by finding your inner child, then also punching it in the face. Consider it a spiritual journey for the age of VR experiences. Should you later buy the game out of guilt regardless, you will at least know why every publisher is doing this type of E3 announcement and whether you are insane. on the bright side, should you buy the game because it is actually out and actually good, then things might actually approach a normal state. But seriously I wish them the best at finishing the game and I'm looking forward to it. Go Team! My little worry for this type of project is that is of a previous generation. I hope they have worked hard to ensure its mechanics still surprise and delight. Personally, I really hope they employ the music/audio team from SOTC, that still fills me with awe and wonder!